The end of the year always brings about many project launches for our company. Most online merchants try to introduce their new or revamped eCommerce stores closer to the forthcoming winter holidays. So these are our latest projects. 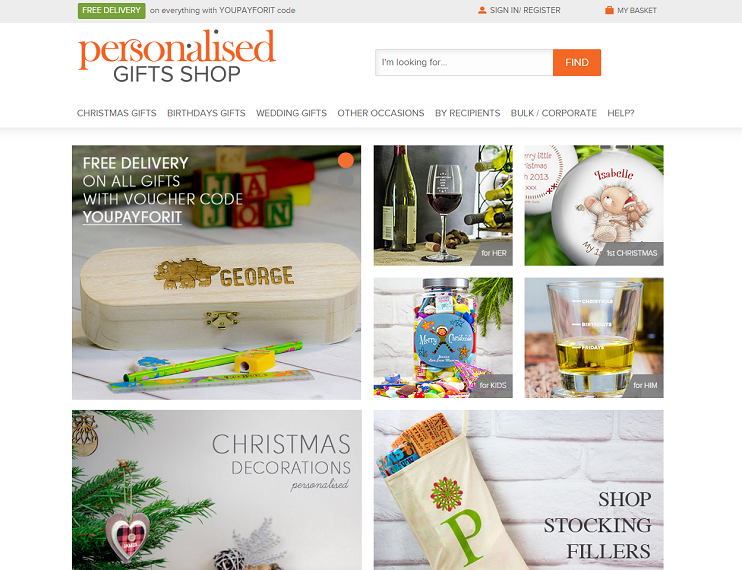 Personalised Gifts Shop is a famous British souvenir company whose specialty is production and sales of unique gifts. We developed the online retail chain on the Magneto Enterprise platform in several large work stages. For more detailed description of the project visit our portfolio webpage. One of the Personalised Gifts Shop chain mentioned above. 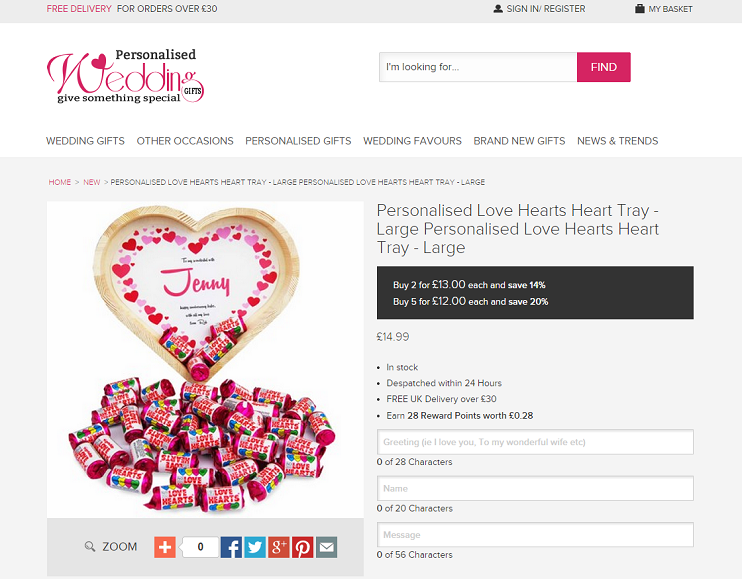 Personalised Wedding Gifts is specialized in selling gifts and souvenirs for weddings. 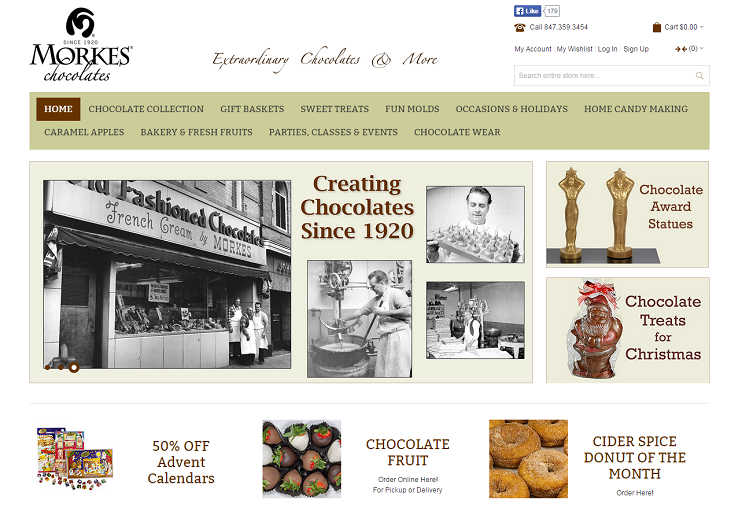 The online shop for the chocolate company is a very recent case in our portfolio. Morkes Chocolates is an American confectionery brand with a century history. For more information on the project visit our portfolio webpage. “Estet” is an acknowledged leader of the Russian jewellery market with its own manufacture and a franchise chain of over 8000 affiliates. The brand puts out the international journal “Estet” and holds the annual Estet Fashion Week which is devoted to the design ideas and the art of jewellery. Our target was to create an online representation of the jewellery house “Estet” that would cover the jewellery factory, trade house, jewellery shop and affiliate network. Our team also developed the wide-ranged functionality for inside work and B2B-sector coordination. We developed and integrated the modules for maximum convenience of the online shop. This is just some of the tasks we fulfilled within the “Estet” project. For more information on the customer and our work, please, visit the project’s page in our portfolio. InteriorFab is a creative symbiosis of designers and manufacturers offering a wide range of unusual furniture and interior item. 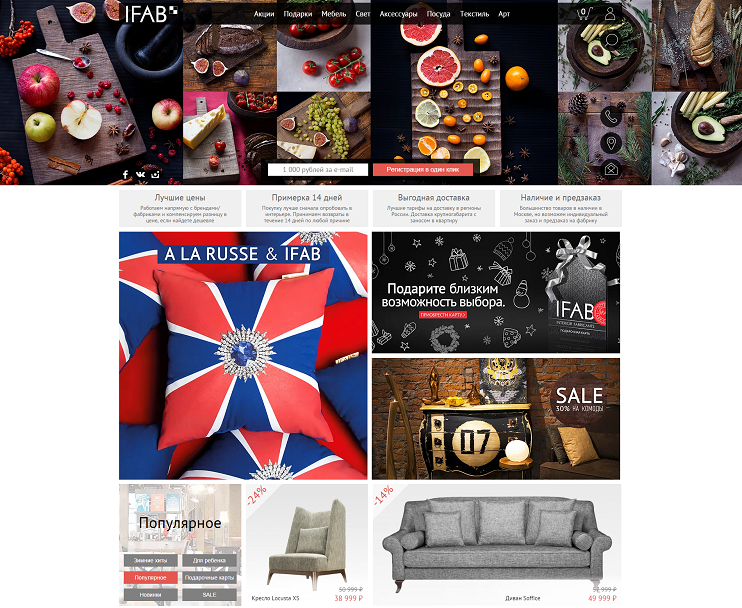 We helped the IFAB brand to transfer to the Magento Enterprise platform and renewed completely the online shop improving the webpages’ standard interface with non-standard solutions. Besides in the course of work we integrated several modules simplifying for the users the website surfing and the checkout process. For the complete list of implemented work and developed services, please, visit the project’s page in our portfolio.